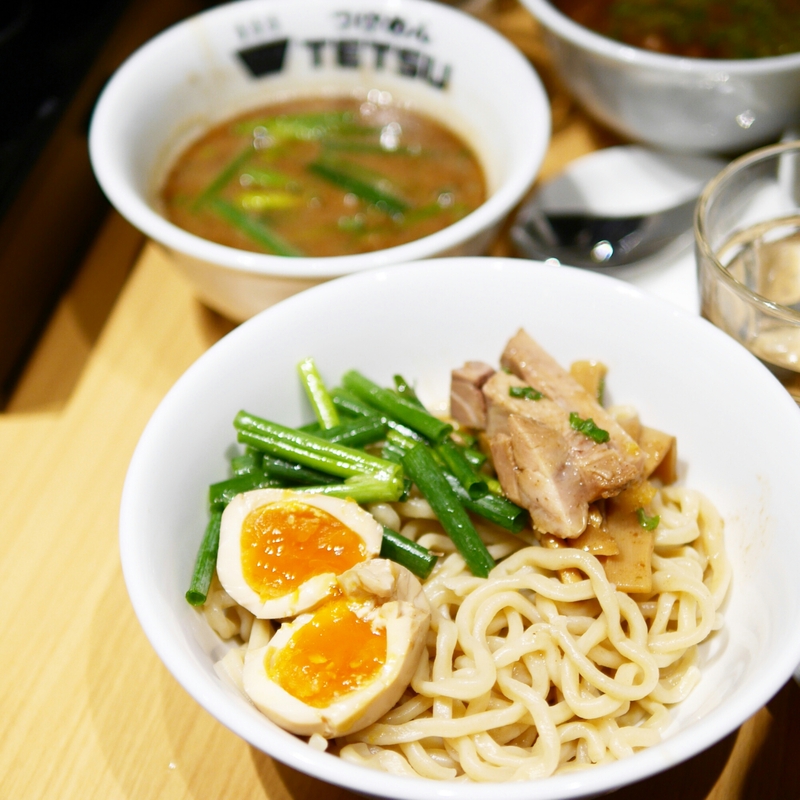 Straight outta Japan, つけめんTETSU is the latest Tsukemen noodles joint to open doors in Hong Kong (5 November 2015). 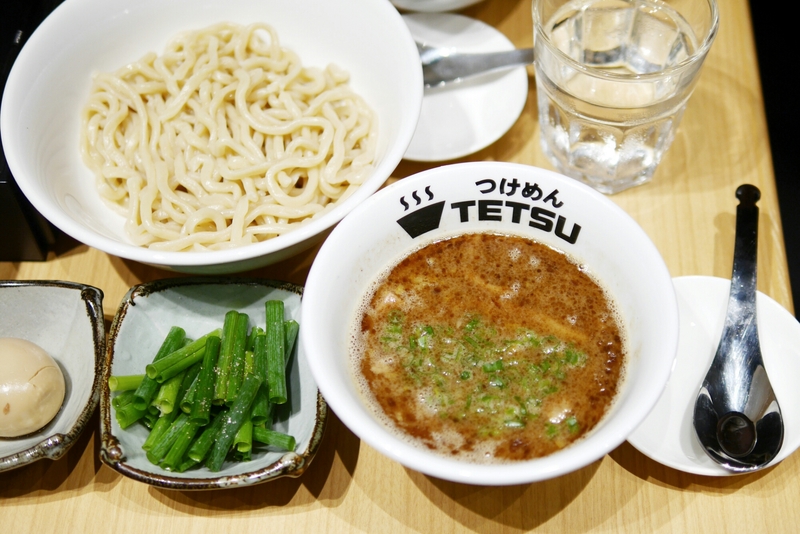 Tsukemen is a specific type of Japanese ramen noodle where you dip each strand of noodles into a thick flavourful soup/sauce before taking each bite. After finishing your noodles, a separate hot light broth is usually poured into the thick sauce and you can have the mixture as soup. 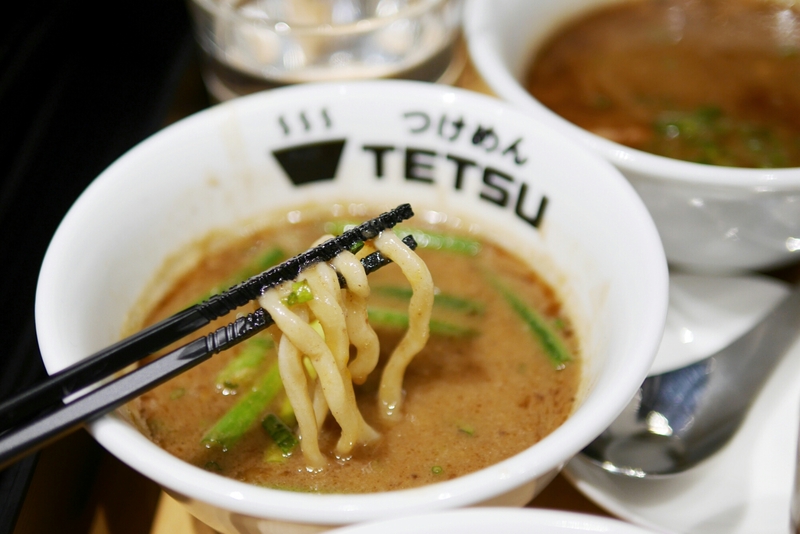 Although I’ve only had a handful of different Tsukemens in Hong Kong, this one at Tetsu is decidedly my favourite! I ordered the standard Tsukemen option, where the noodles are served cold (and dry) while the thick soup on the side is hot. The plain noodles by itself was already pretty outstanding given its perfectly chewy al dente texture. I’d definitely suggest going with the cold (“normal”) option as the “hot” noodles option are served in soup and start getting soggy as it cooks itself while you eat. The soup here is also extremely flavourful. Yet at the same time it wasn’t too oily or fatty either. I added a half cooked egg (a must!) and some extra spring onions (which are good if you love the strong oniony flavour). We also ordered the dumplings (HK$29) on the side but they didn’t really stand out and were boarderline mediocre. So if you’re feeling hungry, you’d probably be better off getting a larger portion of noodles – You can choose between 200g and 300g of noodles when ordering. 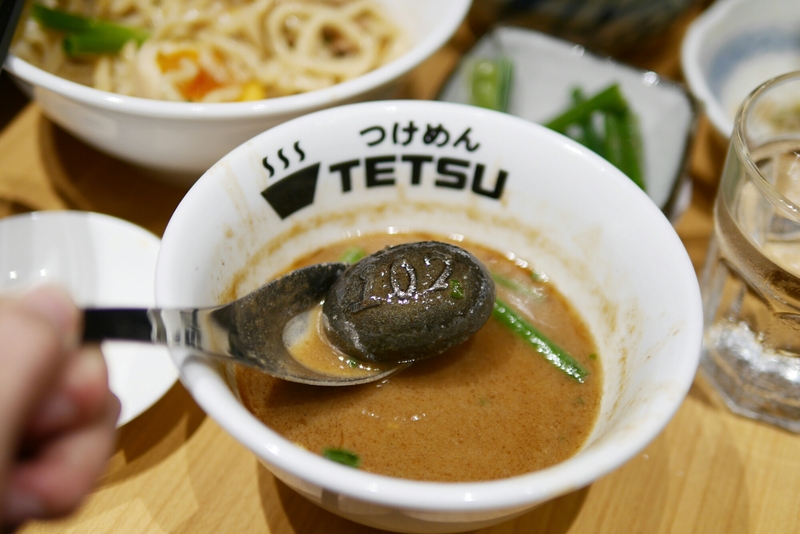 Interestingly, if your soup gets cold towards the end (since it does take time to get through that huge bowl of ramen), you can request to add in a hot stone, which is meant to warm the liquids up. That said, I was kind of happy just eating it cold – it actually tastes good that way! Prev Do Mug Cakes Actually Taste Good? Next Lady M: What’s the Hype?